Born and raised a fisherman, the progression of my year is closely tied to insect hatches. Trout is the quarry of choice and so I often find myself on the banks of the Shepaug River. Keen eyes examine anything in flight, anything swimming, anything floating on the surface, and anything eddying through inside bends of the river like discarded exoskeletons. This will help me determine what the fish may be eating and how to imitate it. However, in many circumstances, signs like these simply aren’t there and the river appears lifeless, but this couldn’t be farther from the truth. Wade to a riffle, a shallow reach of the river where water tumbles over a rocky substrate, and pick up a stone from the bottom. 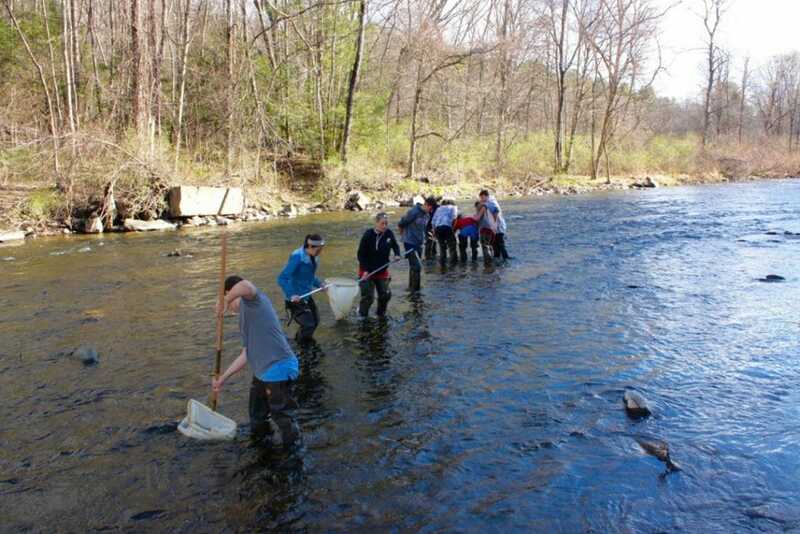 Macroinvertebrates will be clinging to its surface. These bugs are stoneflies, caddisflies, and mayflies in their immature, aquatic life stages known as nymphs (mayflies and stoneflies) and larvae (caddisflies and dobsonflies). You may also notice small cases stuck to the rock. Caddisfly larvae build these cases to live in and the material varies by species. 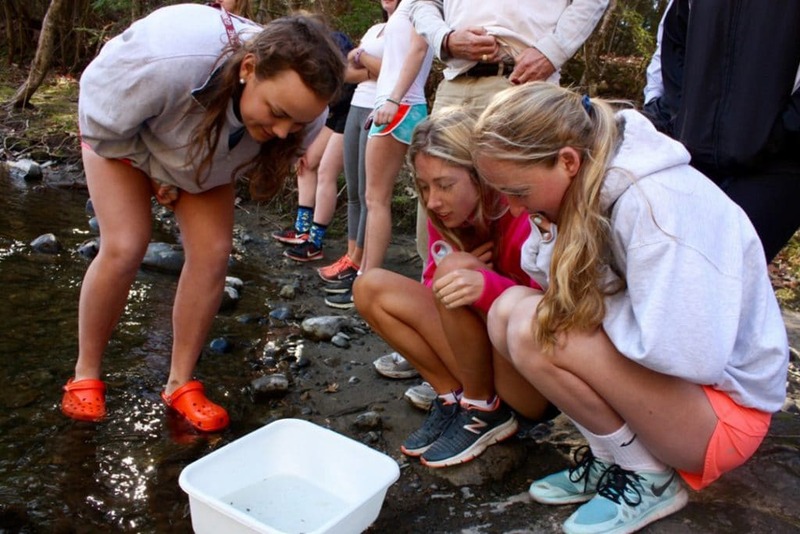 Many macroinvertebrates spend several years developing in the river before hatching into an adult, mating, laying eggs, and dying all in the span of a few days. These immature bugs compose the majority of a trout’s diet and thus when in doubt, I tie on a nymph or larvae imitation and fish it right on the bottom. IMG AT TOP: Adult winter stonefly (Family: Taeniopterygidae) Note: This species is one of the first insects to hatch during late-winter and early-spring.